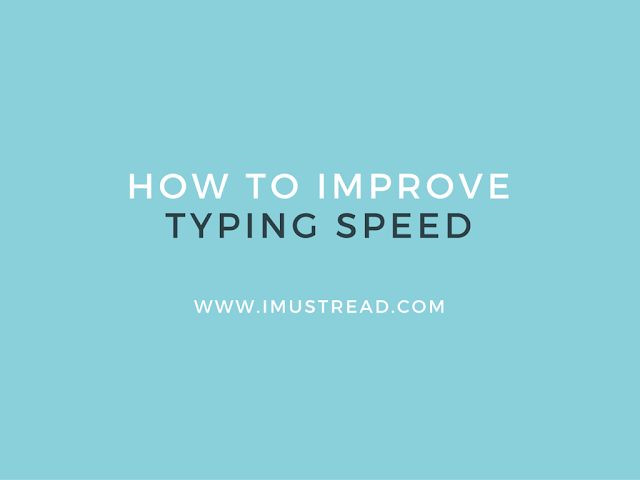 Improving your typing speed normally has got a lot of merits. Basically, beside the normal typing speed, individuals who often type very fast using all their fingers spend less of their time on their computer, make fewer mistakes when typing as well as experience less wrist pain. If you’re not looking for assistance from an expert and you'd wish to improve your speed of typing while you’re at the convenience of your own home, this write up will give you several tips that can assist you achieve your dreams. This is a very nice tutorial for all beginners to get quickly started on typing on a qwerty keyboard. First and foremost, it’s important that you make sure that you select a keyboard which will make you feel comfortable when using it. Generally, sticking to one keyboard for a very long period of time can also assist you. This is because you’ll get acquainted to the format and size and therefore in the long run you’ll be in a position to easily remember positioning of the keys. Be aware that switching between a laptop keyboard and a desktop keyboard can make you confused since their size differs. It’s therefore recommended that you improve your typing speed by learning to type fast on only one keyboard first before you think of trying another keyboard. Therefore, if it’s a desktop, teach yourself on improving your speed of typing till you become a pro before you think of resorting to using a laptop. If you’ve got typing Word documents in your computer, try using IM, writing a forum post or chat rooms. It does not matter what you'll be writing about as long as you make sure you often do it. Informal writing can really boost your attempt of improving your typing speed since it’ll make you concentrate on your computer’s screen instead of the keyboard. This will encourage blind typing in the end. You can select several online games and download them so that you can play them even when you’re not online. For instance, the Finger BreakOut, is one of the free typing games which allow players to be able to play an arcade shooting game which actually improves their typing speed. Therefore, you can decide to play that game or look for more gaming options which you believe are interesting and will improve your typing speed. Despite of how uncomfortable you may feel when using more than one finger, when it becomes a routine, it’ll become eventually your 'normal’ way of typing. Be aware that the more fingers you'll be using when typing, the faster you’ll type. Let us now have a look at the other tips that can help you become a pro in typing. Typing tutor - kind of computer software and online services designed teach typing on a computer keyboard. Typically, such tutors teach to use all ten fingers while typing; increase typing speed;reduce the number of misprints;improve the rhythm of typing. Among famous online typing tutors Tying.com, TypingClub and Ratatype. Before studying I would recommend to pass online typing test (most of them are free) to know your starting point. Relatives, co-workers, friends or even colleagues who are pros in typing can really boost your effort of becoming pro in typing. It is important that you ask them how they managed to become pros in typing, the drawbacks they encountered when training as well as the time period they spent practicing till they became experts in typing. If you find the aforementioned tips on how you can improve your typing speed hard to adhere to, it is recommended that you hire an expert to teach you how you can improve your typing speed. However, you must make sure that you do a little bit of research so that you can secure a person who’ll not only make you become a pro in typing but also the one who will charge you less as service fee. Last, but not least, these are the different tips that can assist you improve your typing speed. Make sure you make use of them if you want to experience their effectiveness.